Illuminating cream designed to combat the first signs of aging. Its high concentration of vitamin C stable evens skin tone, giving it luminosity. Its antioxidant properties counteract the damaging effects of ultraviolet rays, preventing premature photoaging. The combination of its active ingredients provides hydration and softens fine wrinkles and expression lines. 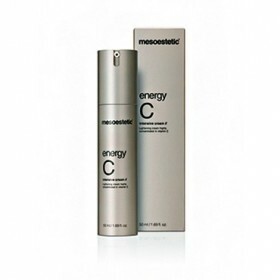 A bottle of Energy C Intensive Cream for home maintenance leads to results obtained in the beauty salon. Brightening Cream formulated to respond to the first signs of aging. Its concentration in stable Vitamin C unifies the skin tone, providing it with brightness. Its antioxidant properties counteract the harmful effects of ultraviolet rays, preventing premature photoaging. The combination of its active substances provides moisturizing and attenuates fine wrinkles and expression lines.